Big Boi on Outkast's Long-Awaited New LP: "It's coming and the album is fire"
Besides a so-so movie and some eternally delayed solo albums, the promise of new Outkast material has been slim. As we reported nearly a full year ago, Big Boi said that 2009 would be the year we saw the release of his Sir Lucious Leftfoot solo record, followed by an Andre 3000 record and finally an Outkast album. So far, though, none of these have surfaced. In an interview with AllHipHop, Big Boi no explains that his Luscious Leftfoot record would be out "in a few months." The album's lead single is called "Looking for You," and will feature Andre 3000. Big Boi went on to shed some light on the new Outkast record, explaining that it's still a work-in-progress. 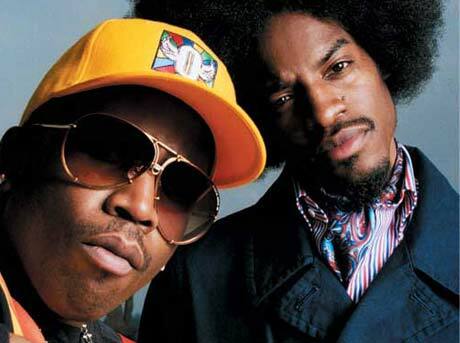 "For all you Outkast lovers, the album is coming," he said. "I'm tired of talking about it and know y'all are tired of hearing me talk about it. But it's coming and the album is fire!" He also touched on some other projects that they are working on, saying, "The 'Kast album is top secret but Organized Noise had done the first couple of beats off there. We got Dre working on his solo so we're going to help him tighten that up. The 'Kast album is coming, then we got the Goodie Mob album coming, and then the Ceelo-Goodie album so it's Dungeon Family for life!" Maybe it's a good idea to get one album finished and out before you start hyping the others, Mr. Boi. André 3000 Shares Harsh Truths on Outkast's Future: "If We Never Do Another Album, I'm Totally Fine with That"
​Erykah Badu Reveals How She and Her Mom Really Felt About Outkast's "Ms. Jackson"
André 3000 on Outkast Reunion: "I Felt Like a Sellout"